Last Tuesday, news of the missing red panda named Rusty rocked Washington (and the rest of the country) when the raccoon-resembling mammal escaped from the National Zoo in D.C. Twitter was ablaze with tweets from stuffy politicians to humble animal-lovers, all bearing the same “#redpanda” reference. 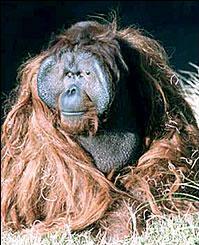 After hours of news coverage, social media frenzy, and the National Zoo’s frantic search, Rusty was eventually located and returned to his rightful home. In honor of Rusty’s recent retreat, we put together a list of the 5 best (or worst) zoo escapes. Our personal favorite is the last one, but we’ll let you be the judge. 4. 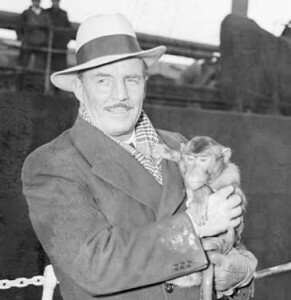 The Long Island Takeover of 1935– Frank Buck, an exotic animal collector, had his own animal park on Long Island where 170 Rhesus monkeys escaped from in 1935. A plank of wood was left over a moat surrounding their area, inciting their breakout; naturally, chaos ensued! The local law enforcement received countless complaints of “monkey business” throughout the island with these creatures climbing on houses and causes minor (and harmless) disturbances. As a token of his appreciation for anyone willing to help recapture the escapees, Buck offered a reward for the missing monkeys– a season pass to his zoo! Read more here. 3. Australian Love Triangle– In 2008, Satara, a 2 ton, 18 year old rhino stormed out of his enclosure in a jealous rage when his mate Yhura “left him” for a younger male. * Satara fathered Yhura’s first baby in 2005, but apparently wasn’t up for fathering a second, hence the pairing of Yhura with another (younger) male. The heartbroken Satara eventually made his way back to his pen after his anger (and jealousy) had subsided later that afternoon, and thankfully, minimal damage was done to other enclosures within the zoo. 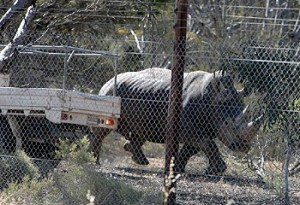 *According to reports by zoo keepers at the Monarto Zoo in Australia. Read more details of the sordid affair here. 2. Sayonara, Suckers– Just last year, a one-year-old Humboldt penguin escaped from his harborside residence at the Tokyo Sea Life Park in Japan. Keepers at the park went on daily searches, but were unsuccessful in tracking him down. After three months, and several reported sightings of the flightless fugitive swimming happily in the Tokyo Bay, a keeper at the aquarium finally spotted him walking along the bay. 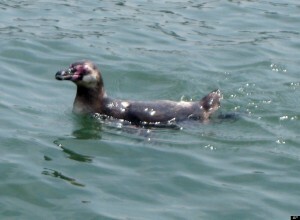 The brave little penguin was ultimately recaptured by the keeper, and despite fears of radiation contamination in the water, the penguin appeared to be happy and healthy upon his return to the park. Click here to read more about this penguin’s 3 month Tokyo Bay vacay! 1. 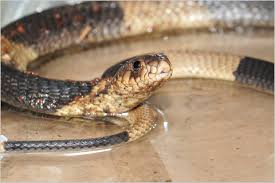 The Reptilian Recluse– Last but not least, the infamous (and nameless) naughty little Egyptian cobra that escaped from an off-exhibit holding cage at the Bronx Zoo’s World of Reptiles. Unclear of exactly how the sneaky snake got out, the World of Reptiles was closed while zoo staff searched for the venomous reptile. According to Jim Breheny, Director, snakes are “shy, secretive creatures” and this one “would feel vulnerable and seek out a place to hide and feel safe” upon leaving her enclosure. 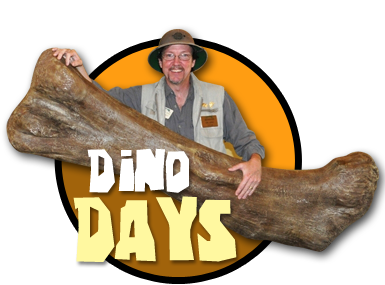 Fortunately, Mr. Breheny was absolutely correct; the 20 inch snake was discovered a week later in a nonpublic area of the Reptile House coiled up under a series of pipes and other equipment. 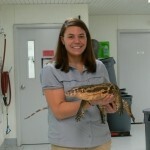 These days, you can catch her updating her twitter account on a regular basis @BronxZoosCobra (she’s got nearly 200,000 followers, too). Find out more about how she was lost and found.